The Compact Cut To Length Lines design and heavy duty construction makes this our most popular system. 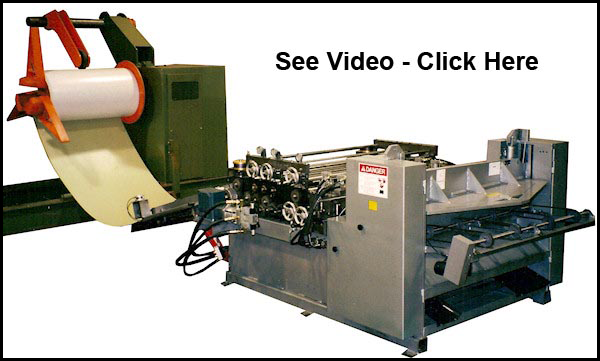 The Programmable Feed handles materials 26 to 10 gauge, up to 72” wide. Our wide range of Drives, Controls and applications assures you will get the dependability and accuracy you expect from a quality system. 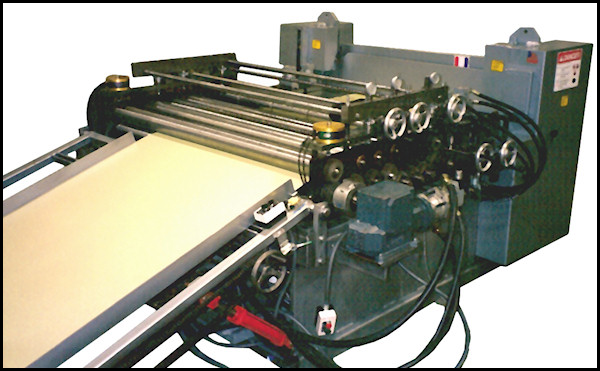 System shown with 10,000# Decoiler under fed with optional Threader table. 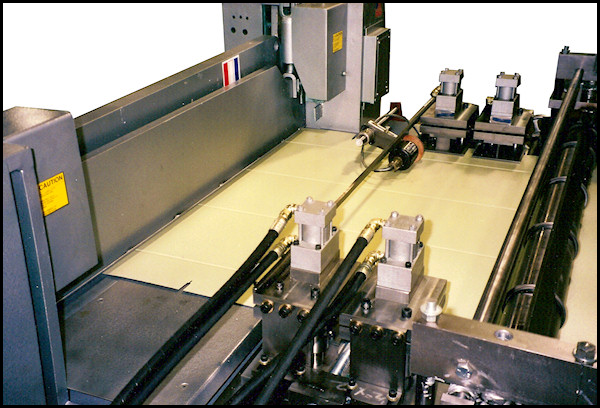 The Compact Cut To Length Line System features our quality Feeder Straightener & Shear Cut-of combined on a heavy duty all welded steel frame. We offer a wide range of Programmable Feed Drives & Controls for both Flying & Index Feed Applications. 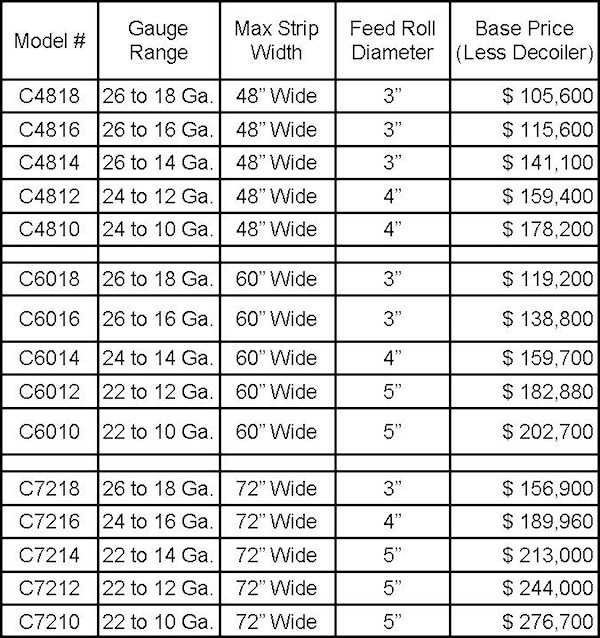 Prices as of Jan 2008, based on our standard design and components with standard Programmable Feed Length tolerance of ±.030 in 8’. Closed Loop or (Servo Feed) options available with ±.005” tolerance.